FULTON – Friends of Great Bear is very pleased to be awarded the $3,500 grant from the Oswego County Community Foundation. 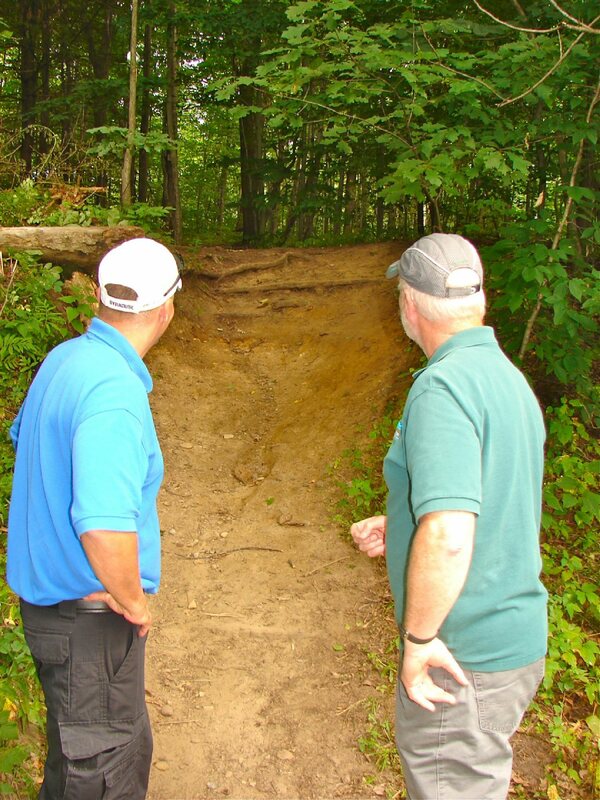 From left: Doug Kierst, director of Cayuga County Soil and Water Conservation District, with John DeHollander, director of Oswego County Soil and Water Conservation District, look over and discuss the eroded hillside connection between the tow path and adjoining hilltop trail. Great Bear Springs is a non motorized, share the trails, outdoor wooded area, with several miles of trails, including trails along the Oswego River. Great Bear is located just south of Fulton on Route 57 by Hawthorn Road. The grant will go towards erosion control and the construction of a staircase adjacent to the historic Oswego tow path and guard lock, on an eroded hillside trail connection. 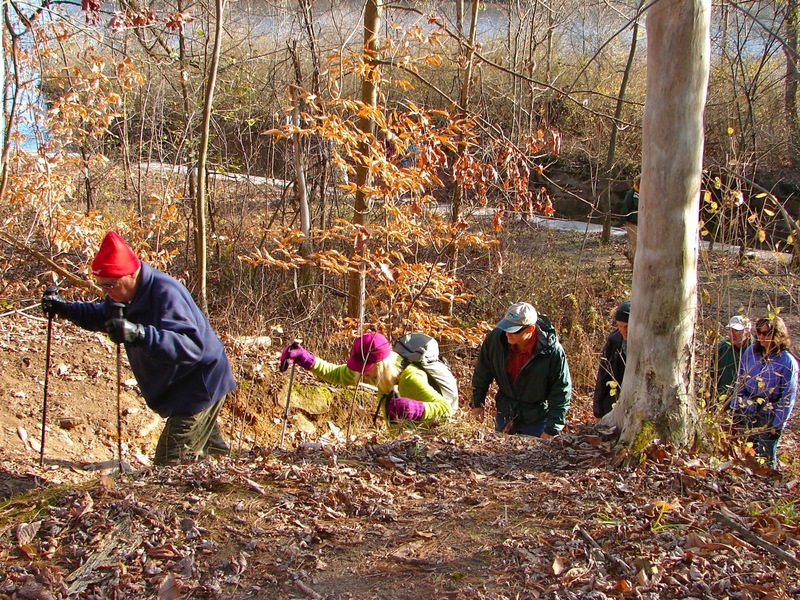 In combination with donations and in-kind help, the eroded hillside connection will be repaired with erosion control and a stone staircase. Limestone will be used to compliment the limestone that was used for the construction of the historic locks. 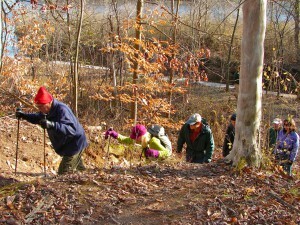 Members of the Onondaga chapter of the ADK hike up the hillside connection. To keep with “share the trails,” there is a hillside traverse connection nearby, that mountain bikers, horseback riders, skiers and snowshoers can use. It is expected that Fox Creek Landscaping will be doing the construction, this coming year.